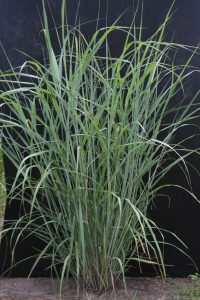 Switchgrass (Panicum virgatum) can be found growing on dry slopes, sand, stream banks, open woodland, waste ground, rocky streambeds, seepage areas, and brackish marshes. The grass has been used in the forage industry since the 1970’s and is now becoming one of the leaders in biofuel feedstocks. It earned this reputation through its ease of establishment, adaptability, low input costs and ability to be harvested with currently available equipment. It can also improve the environment through prairie restoration by reducing soil erosion and removing toxins and excess nutrients that would otherwise run off into the streams.